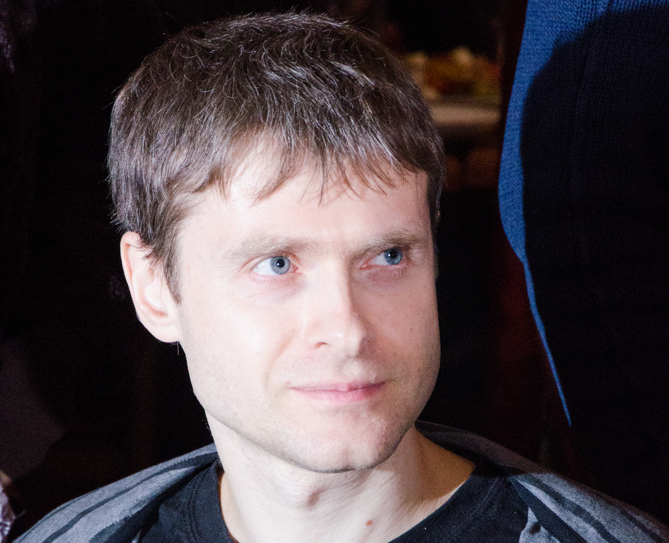 Andriy Semenyuk, Founder and CEO of Elyland, the creator of Draconius GO, talks candidly to SnapMunk about how the game came to be and where it's all going. What’s the back story to how you became the founder and CEO of Elyland, and the creator of Draconius GO? Back in school and university times, I used to play computer games a lot. Later, I had a retail shop selling computer games on CDs. At the same time, I was an active player of OGame, a browser-based massively multiplayer online game. Later, I decided to create my own first browser-based strategy game; that’s how the Elyland company and the My Lands online strategy game were created. I do not believe in VR. It’s not user-friendly and in the coming years, VR games will not become massive. I thought about creating an AR game long before Pokémon GO. After the release of Pokémon GO, I became their fan and was shocked by the decisions of Niantic: they were steadily killing their game. I thought of sending them an email, offering some help, but seeing how they interact with their fans, I decided to do my own project. I like fantasy, it gives a lot of variations for gameplay and characters. Niantic’s setting exploits nostalgia, nothing more. What is your company and your technology going to provide that nobody else has or can? We are always looking for a balance between listening to our players and understanding what they really need. We have created the deepest gameplay of all the AR games I know. We have developed our internal system of working with maps for GO games. This system is high-performance and can easily scale up to exceed the peak number of Niantic’s users by several times. But its main technological advantage is the fact that it enables us to create Augmented Reality projects in any genre–not necessarily games–quickly, and at minimum expense. Does Pokémon GO need to be replaced? Why does Draconius GO need to do it? I don’t think Pokémon GO must go. The stronger the competition, the better the product! Draconius GO was an unexpected blow for Niantic. We released the game during a difficult period for them–on the eve of their Halloween event–and we took a huge segment of the pie. Half a million players already, and that number will grow significantly soon. I have good memories of Pokémon GO, but it’s time to move on. I think the AR market is ready for a deeper gameplay. 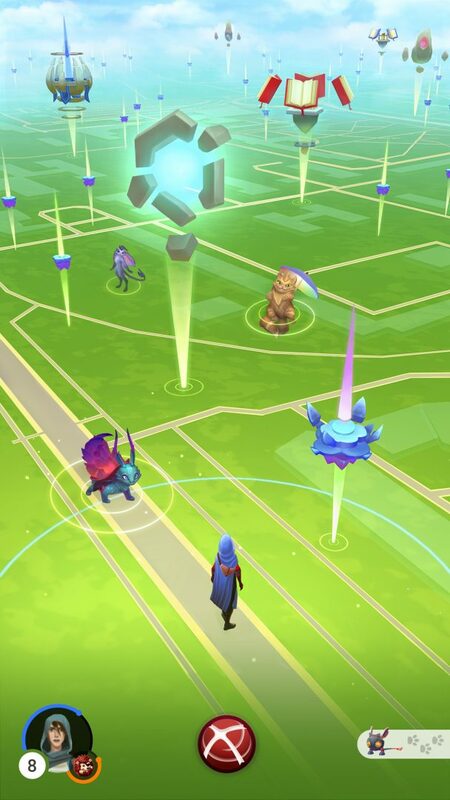 Niantic is threatening legal action against Draconius GO. What are your thoughts or comments on that? As I’ve said before, I’m sure we do not violate anything. Unfortunately, I am bound by a NDA and can’t disclose the details. At least as of today, they have not responded to our request for details regarding what exactly their claims are about. Where did the inspiration come from for the Draconius GO creatures? Take an artist’s wildest imagination, add a little knowledge from the game designer, mix it with the world view of the art director, and cook it in the Fantasy pot. Joking aside, there are a lot of talented artists and designers working at Elyland. All these cute creatures are their merit. At every stage of the way, we created a lot of versions of the creatures and rejected those that didn’t impress us. A beautiful picture is very important: it creates the first impression. So you built you own mapping engine and map system. Tell us more about it. We have developed our service for GO maps focusing on increasing its productivity. As a result, users don’t encounter lags, and correct work of the service is guaranteed up to a billion players online. We are working on two more AR projects that are based on the same system. We will launch a strategic AR game and a social network application with AR mechanics in 2018. Why did you decide not to build your own distinctive UI as well? That’s a very good question, because it reflects a common misconception. Many people believe that we had to create a completely new UI. But we created the game in an already existing genre, with a clear UI for users. After all, the UI is conditioned by the genre. For example, all Match3 have almost identical mechanics. What are the keys to sustaining and growing user engagement in your business? We talk with the fans directly. We come to those who, just like us, have spent months of their lives on AR games and say, “Hello, check out Draconius GO, it has everything you wanted.” They tell each other about us, create groups on Facebook, Reddit, Telegram, YouTube channels. We don’t know how many Draconius GO communities already exist- the game is spreading too fast. Where do you see Draconius GO and Elyland going in the next five years? Our goal is to become #1 player in the genre of AR games. Draconius GO is the first card we put on the table. Next year we will present our other projects in AR: a first strategy game in AR and a social network application in AR with very interesting mechanics. In 2018 Niantic will be launching the game, Harry Potter: Wizards Unite. Thoughts? If it is a Draconius GO clone in the Harry Potter setting, they will succeed. Jokes aside, it’s a very strong marketing exercise. The theme of Harry Potter is gaining popularity again thanks to the movies. Draconius GO has raised the bar on quality. Niantic must keep up in order not to be kicked out of the market. What will be the next thing to disrupt your industry? What advice do you have for other founders of startups in taking on the market leader in your segment? Large corporations impose a monopoly in our genre, so be prepared for a challenge in the super heavy-weight category! I’ve never played this game, is it worth the download? I have an old Android phone, is that going to work? And just like with anything else that ends up on the top of the list, there will be another competitor right behind it to take it down. The new PokemonGo event might do just that! Pokemon Go is about to release a new event. I cannot wait! Even when games really take over the world, like Pokemon GO did recently, that is short lived these days. There is always the next best thing right behind them. Anytime there is something that comes a long and threatens another thing, there is a lawsuit. I just do not see how it would be justifiable with things like VR games. This is only the beginning with games like these. I cannot wait to see what 2018 brings. The new Harry Potter game sounds like fun. I cannot wait to get a chance to play that! The Harry Potter AR game is supposed to be one of the best in the world. I am not really into all the hype that comes along with things, but Harry Potter is already popular, so why wouldn’t the game be? And now that there is a competitor for Pokemon GO, there seems to be a level of improvement with the game and the app itself, which is nice. I just checked the downloads on my Android device and the number is still climbing from when this post was written. Out of this world for these developers! I thought I read another article that Pokemon Go was releasing an update and it was going to be one that really does some good! I like to play Pokemon GO, but I live in the country side and can never get anywhere near one to grab them. What can I do to make the game more fun for me? I have been watching the stats for these two games, there is no doubt about it that your title hit it right on the head. Wow! Just crazy how popular the games have been. I haven’t even had the desire to download them. It’s a very fun game. Beautiful creatures and MUCH more to do than in PoGo. I’m almost level 39 in PoGo and 24 in Draconius. I’m terribly bored with PoGo, but I do my daily spins and catches and raid when there’s something new…draconius would TOTALLY take over my play time, and many other PoGo players’ time if they just FIXED THE SPEED CAP and SPAWN RATE. They had it PERFECT for one glorious day. You could spin and catch at 25 mph like in PoGo, things would spawn before you were passing them by, and would stay catchable when you got to them, and the nearby radar stayed up long enough for you to actually see where the creature had spawned. But after that one day, they went back to business as usual. Very disappointing, and completely perplexing, since these issues are 80% of what people complain about in the Facebook groups I’m in. Please fix it again!! I agreee with you. Pokemon GO has it moments and I am sure this game will as well. I never played either one to the point that a bug might hinder my gameplay. The speed cap is a little weird for a game like this, but I am also not a developer so I am not sure what they are thinking when they implement things like that. Very interesting comment. I like to play both games and spend about equal time with them. Unfortunately I disagree. I was all for Draconius when it first came out. Everything was way better. Lures, egg hatching speed, all the new things. Coins for arenas. Then this BALANCE update has made the game worse off than pokemon. Really? I was not aware of this. If what you are saying is true, I am going to have to agree with you and say that Pokemon GO is still worth playing over this game. Is it just me, or does it take an update like the BALANCE update to really screw things up? A billion players at one time!?? Wow, that is a major increase over what Pokemon could do. That does seem like a lot, right? I am not sure any game has seen server traffic like that ever. Maybe World of Warcraft if you put all of the servers together, but even then you are dealing with different times of the day when the traffic peaks from all around the globe. I have played this game AND Pokemon GO! Both are fun, but I do tend to be playing this game a little more often. I think its just new to me and that is why. I am sure the novelty is going to wear off at some point. Just like with Pokemon GO, I am shocked that I have not heard of this game before now. More than 500,000 players and I have not caught wind of it. I just don’t understand how that is possible with a game that is so popular. Nice article and interview! Most of us have twice as many games and apps on our phones than we need. I don’t think Pokemon has to be replaced either, it’s just another form of entertainment that can sit nicely right next to this app on my homescreen. This is true. It will just become another time waster on the smartphone. The thing is, that will decide whether you get rid of Pokemon GO or not. The fact that you have not played it in 6 months and are sick of looking at the icon. While it might be a time waster, it does speak volumes about where the smartphone/mobile games are headed. I enjoy new games with a twist, they are all cookie cutter otherwise. It is very surprising that he does not think highly of VR games. We all know they are going to be the future, it will only be a matter of time. I guess we’ll just have to wait until the AR games take a dive. Very interesting that he was going to offer help but just sat aside and waited for the game to die. Then he goes and starts his own game and now it looks like it will be better than Pokemon GO! I really like the article as well. Good information and enough to keep me interested enough to play both [email protected]! Wow, I am surprised that it took this long before another game similar to the Pokemon GO came around. I figured there would be 100’s of copycat games ready to download. I think we are entering a new world of mobile gaming and many of the games that we see are going to be of this nature.